Field Service Management - CWIS LLC. CWIS provides a variety of FSM services to include property inspections, securing properties, maintenance and preservation, and vendor & subcontractor management. We integrate and manage all of these activities through our industry best-practice business systems and our highly qualified and trained staff. We ensure a quality-based delivery of all services while adhering to a strict timeline to meet contractual requirements. We facilitate continual improvements to processes and consistently strive to increase the efficiency of the services we provide. Every individual within the CWIS organization is responsible for quality performance. We have a team of experts to handle coordination with utility companies, Homeowner Associations (HOA), Condominium Owner Associations (COA), and Government agencies to ensure timely services are provided in the most efficient manner. Our Field Service Technicians and Inspectors are prepared to deploy for any FSM need and our Customer Service Agents are readily available to provide our clients with specialized support. CWIS can complete any property preservation task required. 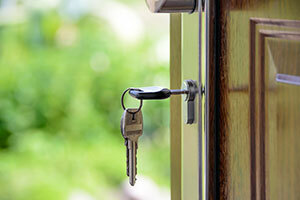 We can perform lock set changes and boarding to secure properties. Locks can be changed to match key codes and all of our boarding methods meet HUD’s strict specifications. The appropriate size and width of plywood will be used along with carriage bolts to adequately secure window and door openings. Our winterization services include turning off water to the property, draining bathroom fixtures and water heaters, draining & pressurizing water lines, securing bathroom fixtures, and posting appropriate winterization notifications on the property. CWIS will provide property maintenance services to include debris removal, cleaning & lawn maintenance, and cosmetic enhancements & property repairs. We will perform a complete cleaning of the interior of the property (initial or ongoing) and ensure that all impacted gutters on the external property have been cleaned. 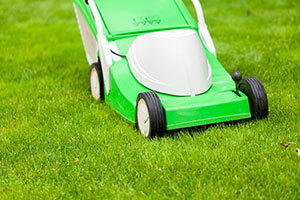 We provide total lawn maintenance and will remove all organic yard debris and perform snow removal. We also provide pest control and mold removal services. CWIS mentors our subcontractors and vendors as Field Service Providers (FSP) by instilling in them the same cardinal tenets, values, and commitment to superior service that is expected of each CWIS employee. We employ intense vetting of each subcontractor and vendor we use. This includes a thorough review of the company's background, experience, capabilities, certifications, coverage area, and capacity. Our Quality Control and Risk Management plans include constant communication and ongoing knowledge & safety training with each of our subcontractors. Contact us for additional information on how to become one of our Field Service Vendors. When you complete the inquiry form please upload a document highlighting your corporate capabilities and the services you provide. ​As a previous Field Service Management (FSM) Contractor to the United States Department of Housing and Urban Development (HUD), CWIS maintained over 4,000 homes for almost ten years. CWIS maintained an average rating of over 96% based on HUD’s demanding rating criteria during the period that HUD metrics were implemented.